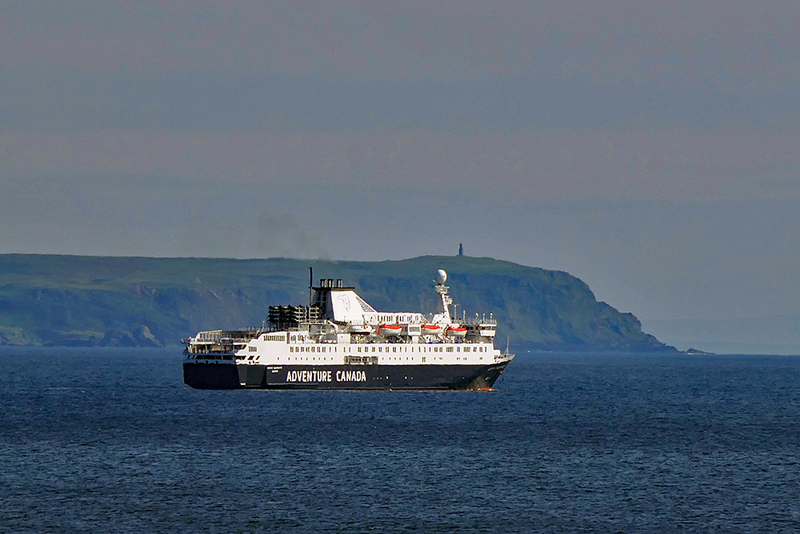 After her visit to Loch Indaal the cruise liner MS Ocean Endeavour is leaving Islay, here passing the Mull of Oa with the American Monument. Seen from the Rhinns of Islay, somewhere south of Port Charlotte. 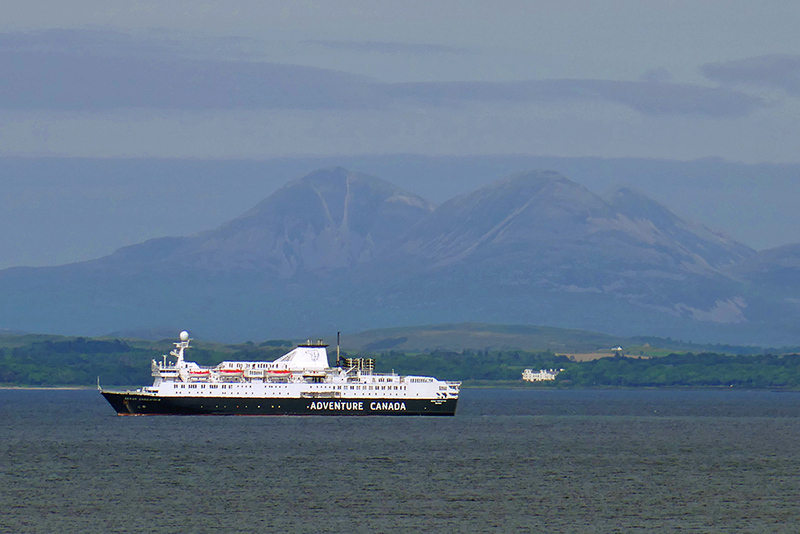 An unusual visitor to Loch Indaal, a cruise liner. Most of them moor at Port Ellen when they visit Islay, but the Ocean Endeavour stopped in Loch Indaal, causing a lot of attention and excitement. The tenders were ferrying passengers to and from Bowmore all day, from where they visited Bowmore distillery, Islay House Square and Finlaggan among various places. 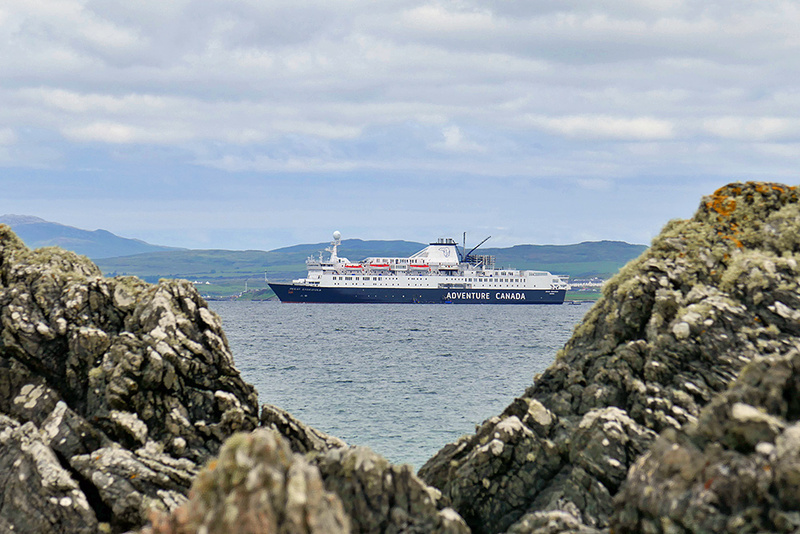 Photographed from somewhere near Port Charlotte (can’t remember where exactly I managed to find this angle wedging the cruise liner between the rocks), some houses in Bowmore just visible in the background.